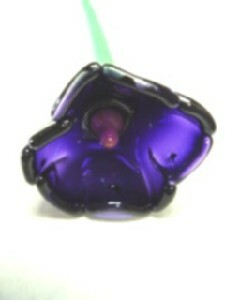 Description: Hand made hot glass flowers. "Long Stem Love" Series. 2005 by Michael A. Forbes. Austin, Texas.